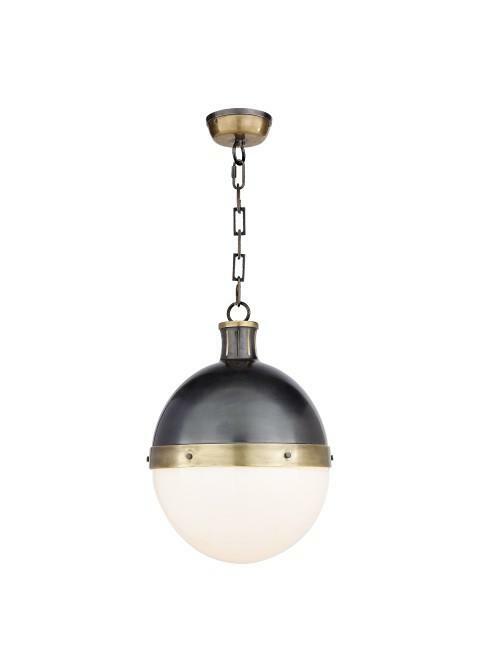 Our Top 10 list includes everything from pendent lights to linear chandeliers to lanterns. Many of these lights are available in different price points from a variety of retailers and are sold in a range of sizes and finishes. Bottom line, there’s something for everyone! 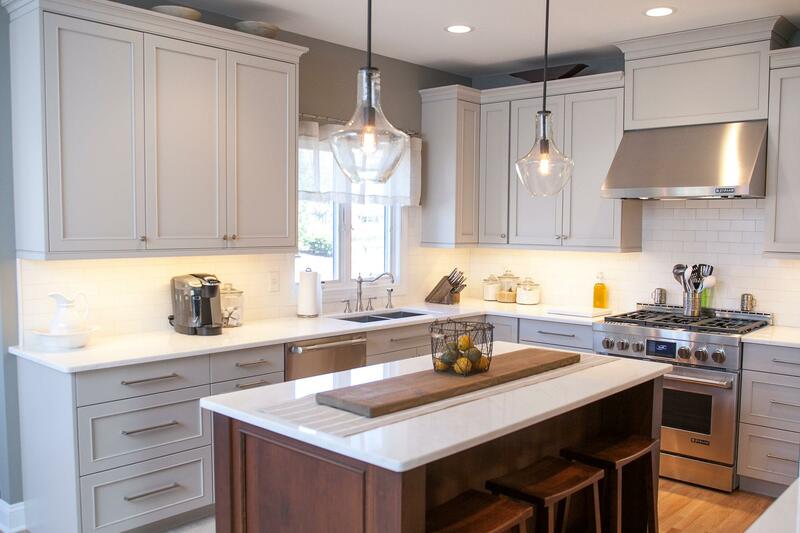 Sometimes one of the biggest challenges while designing a kitchen is finding lighting for the island that coordinates well with other lighting found in the kitchen. The Cylinder Glass Pendant helps to solve that problem as it integrates well with a variety of other kitchen lights and spans a range of design styles. A wonderful light to create an open and bright space. This light is a good option for kitchens with lower ceilings and is appropriate in both traditional and more transitional spaces. With the Lorford, Visual Comfort took a classic, bell-shaped lantern and updated it with a smashing, smokey finish. A show-stopper when two are hung over any large kitchen island! 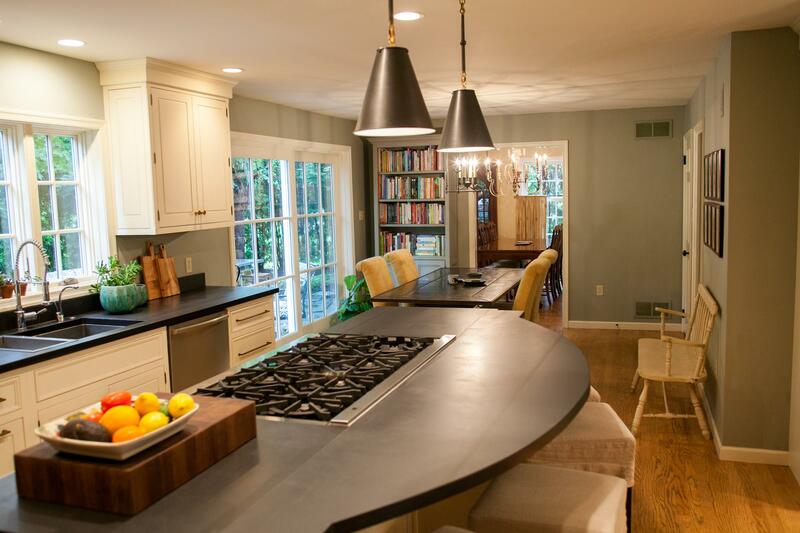 Found over Jill’s old kitchen island, the Goodman Hanging Lamp coordinates well with other lighting in the space. The chain on the pendant is one of Jill’s favorite details as it really distinguishes this pendant from others. This pendant may by inspired by an industrial past, but it has a lot of bling and sparkle and makes for a super, chic kitchen! If your island is a key work space in your kitchen, the direct, focused light is great for critical task work. 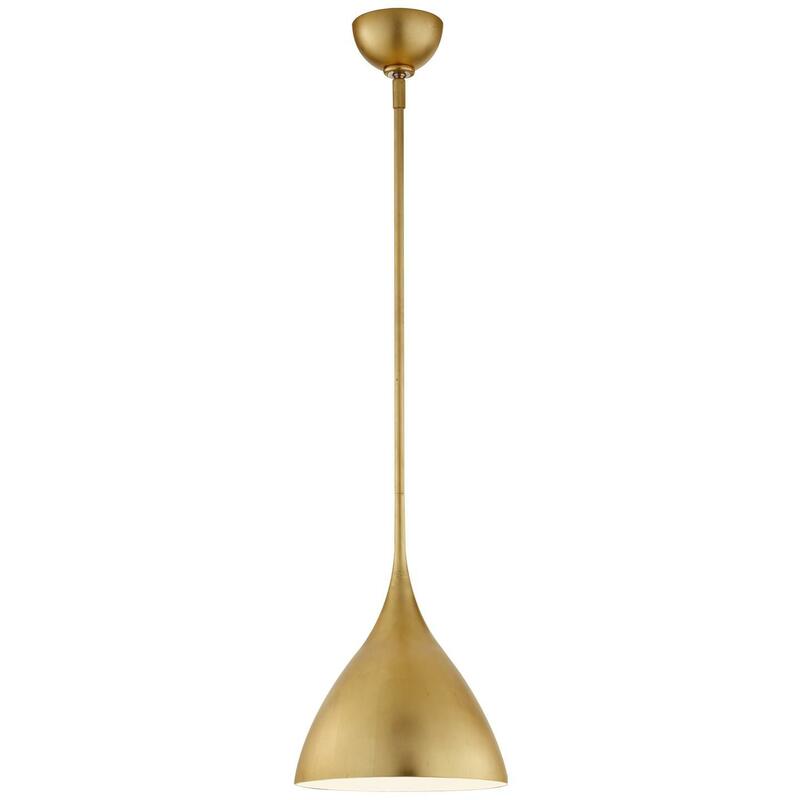 Available in a range of sizes, this pendant light is a great solution for any island. The clear glass shades brighten the entire room, not just the island work space below. Shades are also sold with an opaque glass finish or with a metal shade option (see other retailers for addition shade choices). The Agnes pendant is available in white, black, gold, and silver. The delicate, willowy lines change dramatically as the size of the pendant changes from small to large. 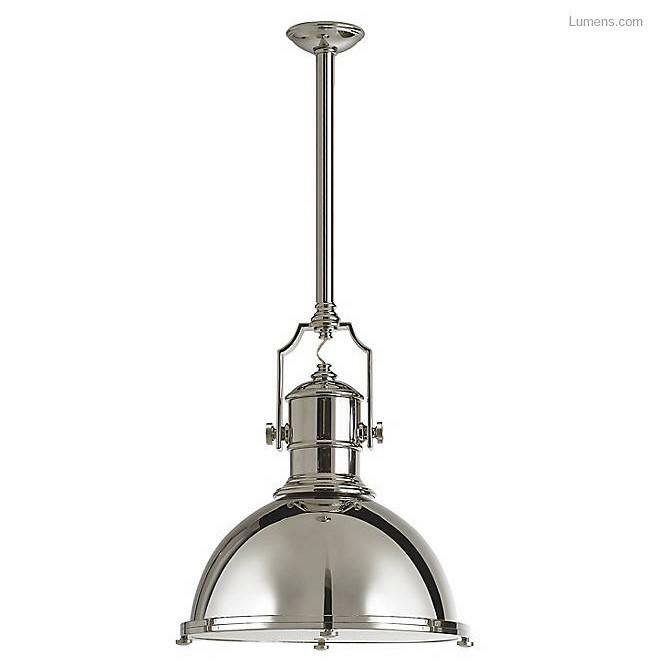 Elegant and understated, this light is a winner in any kitchen! 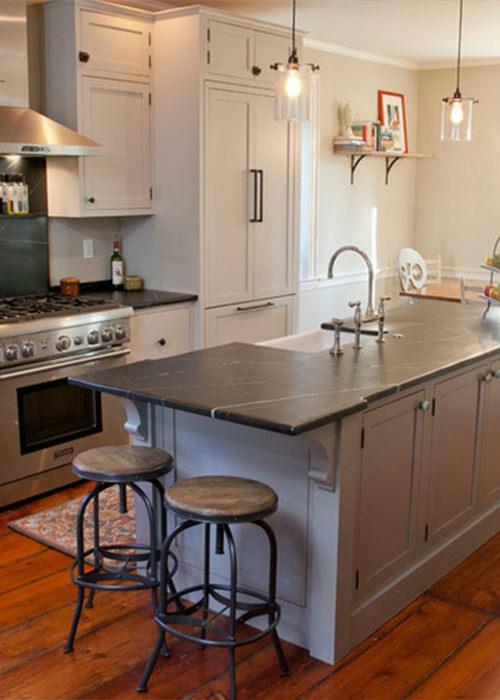 Want to spice up your kitchen design with mixed metals? 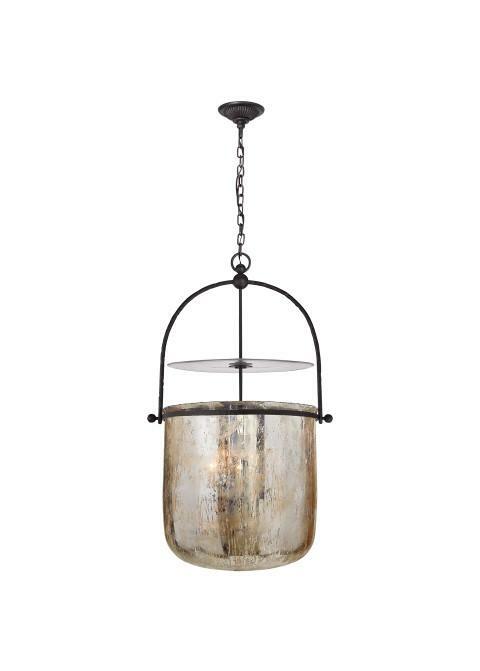 Look no further than the Hicks pendant that is sold in a variety of mix-and-match metal options. 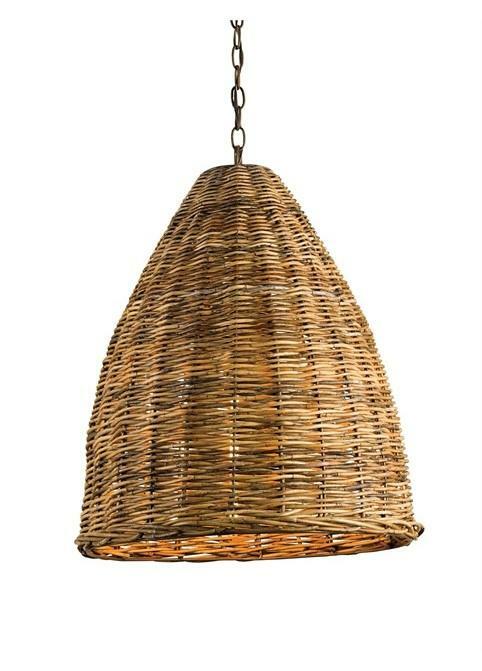 Adding warmth and texture, this wood basket pendant offers an organic, natural appeal to any kitchen. 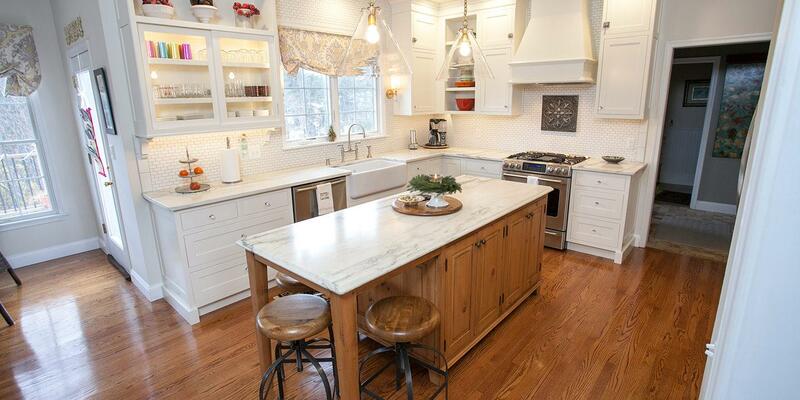 We find it particularly appealing in white kitchens as the wood warms the room. 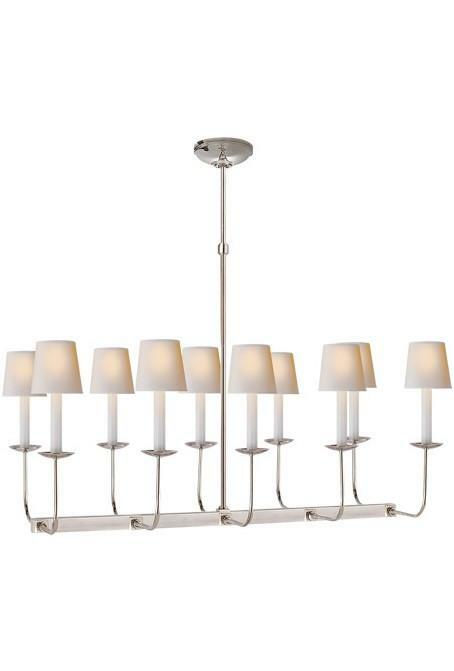 If your kitchen island serves as the kitchen’s primary dining space, this pendant chandelier is a lovely option. We do not recommend this light if there is a chandelier over a nearby kitchen table, however, as they will visually compete.